Where does the knife point on the treasure map loading screen in Fortnite? If you’ve been blasting through the season 8 Battle Pass, the clue to help you complete this premium challenge will be way back in your rear view mirror. But, we’re here to help you dig through all your new loot to get your reward in this week 6 challenge. Tier 10 of your Battle Pass unlocks the Fortnite treasure map loading screen which features a magnifying glass, compass, and a smattering of treasure. 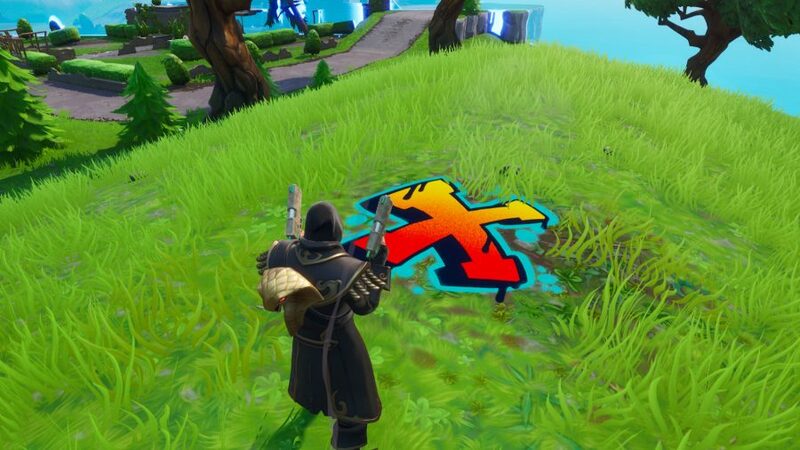 It certainly fits the pirate theme of season 8 but, most importantly, there’s a dagger lodged in the map. This knife points to a spot on the map where you crack this challenge, and we’re going to show you precisely where you can do that. It probably goes without saying, but this is a challenge that requires the season 8 Battle Pass. So, if you’ve not stumped up the necessary Fortnite V-Bucks or completed last season’s Overtime challenges to get it, following the steps in this guide won’t nab your the extra prizes you could otherwise get. Anyway, here’s where to search where the knife points on the treasure map loading screen in Fortnite. As the Fortnite knife on the treasure map loading screen shows, we’re heading to the east region of the map – between the abandoned mansion and the desert race track, specifically. Between these spots is a small cluster of trees. At the centre of them is a scorched patch of grass – that’s where the Battle Star can be found. 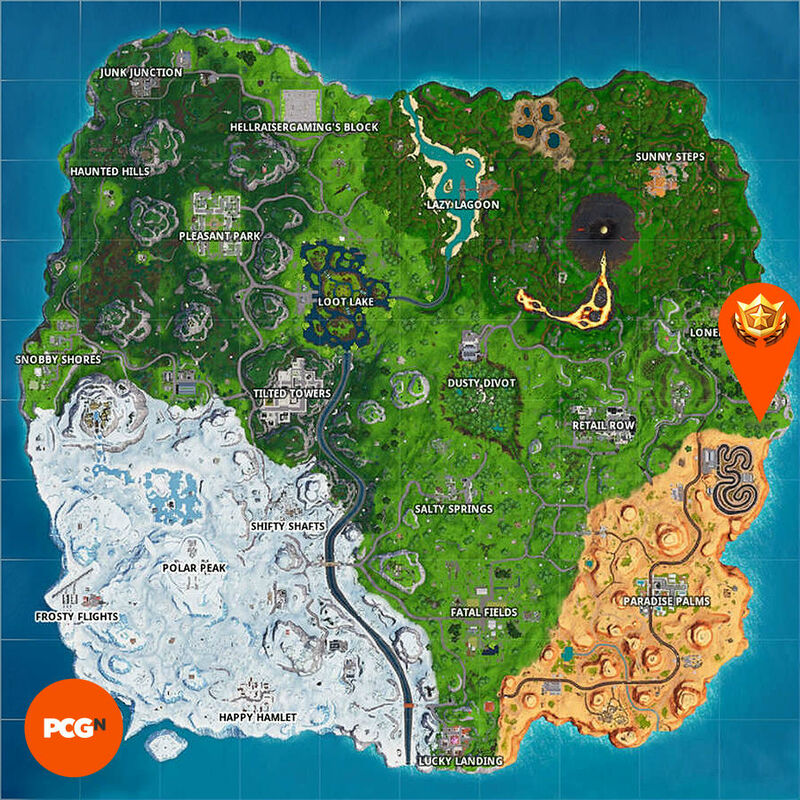 If you need more help, we’ve provided a map below to show you exactly where you need to go to show your Battle Pass some love. And there you go, that’s where to search where the knife points on the treasure map loading screen in Fortnite. Also, below you can find a video to help you out with getting up to the five Fortnite highest elevation points. We’ve had a quiet few weeks in terms of juicy challenges, but week 6 brings things back with a bang, so check out our guides on finding the wooden rabbit, stone pig, and metal llama. For now, enjoy your fresh treasure chest full of booty, landlubbers!